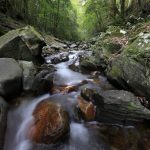 Website Review: Cleverhiker.com – a new age of online backpacking & hiking resources? 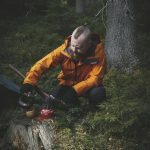 If this is the first of Hike or Die blog that you are about to read, we suggest that you take a look at our disclaimer first to get an idea of what we are all about. I was recently given the opportunity to review the content that appears on CleverHiker.com by the site’s founder Dave Collins. He contacted me via email and he stated “Our goal is to produce the best backpacking tutorial videos in the world”. My first thought was, wow, that’s a very bold statement, and secondly, you certainly have your work cut out for you. Now before I go any further, let me make it perfectly clear that neither CleverHiker.com or Dave Collins himself (or anyone else for that matter) have provided any “favors” or any monetary incentive whatsoever for myself (or hikeordie.com) to write this review, nor have they in any way contributed to what is written within, apart from providing images and video links that I requested in order to make this a more substantial review. As I get more and more into the sport/hobby/pastime/whatever you want to label it as, I hunger for more information, more knowledge and more ways to make my life more convenient and safe on the trail. Over the last 12 months in particular I have spent more time watching instructional videos and gear reviews and reading blogs related to hiking and backpacking than I care to count. I want to learn specific information about specific elements of backpacking and in recent times it’s been leaning towards lightweight or ultralight backpacking. Ten years ago that wasn’t a high priority to me, if you get what I am saying. I can trust things I learn from YouTube though right? Now lets start by talking about YouTube for a minute. Yes it’s free and yes, it’s quite an amazing resource for people like ourselves. I am eternally grateful every time I find a nugget of wisdom that I can use in the field or when I want to watch a metal version of Gangnam Style. Yes, sadly there is such a thing. The problem is, to find that one nugget of wisdom you are most likely going to have to sift through hours of sh*t and when you do finally find something, just how accurate is that information? Anyone can set up a channel. That also means they can claim that they are an authority on a particular subject, shoot some footage, exercise some creative editing and then publish it to the world. Now, if I’m going to take instruction from somebody that I don’t know on a topic that could potentially save my life one day (or even just my back & knees), then I am quite selective about who that person is. If that person has trekked from Mexico to Canada over a five month period averaging 20 miles a day, then yes, I’ll take his advice and he has my full attention. In case you didn’t get the hint, Dave Collins did just that. Dave doing what he does best. You know you can trust a man who can grow a beard like that. Before I even visited CleverHiker.com, read any of the documentation or started watching the first video series I had already made the assumption that this was probably a kind of beginners guide to backpacking. I was wrong, but only half wrong. 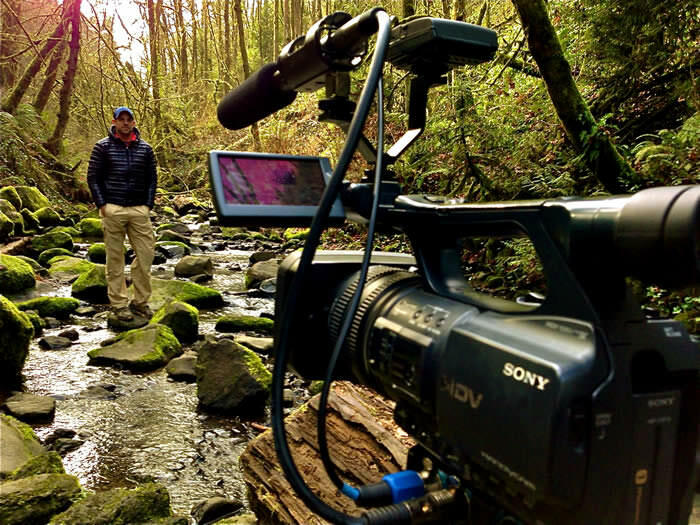 It’s kind of hard to explain but the videos and information could be utilized by either a seasoned hiker or beginner alike. What they have done is quite unique and I think it’s something special. There were parts where I was happy with how I pack in comparison to Dave’s advice. Then there there were parts where I was pretty confident I knew my stuff but Dave throws a thought or tip at you that makes you question some of the things you have been doing for so long. There were plenty of times throughout the video series where I thought “I wish somebody told me that when I started” or “Why have I been doing it that way for so long?”. I guess a point to make here is, if you aren’t open to learning and improving because of an ego block then no tutorial in the world is going to help you. I’m pretty sure every one of my hiking mates, experienced or beginner, would have at least a couple of “Oh wow, why didn’t I think of that” moments while watching the series. Watching the series is enjoyable even apart from the great information. The picture and audio quality is amazing and the backdrops are stunning. It feels like you are watching a nature show on the Discovery Channel. Yes, it’s that good. In addition to that, Dave has an easygoing personality and you immediately trust the guy and want to learn from him. He clearly knows his stuff as he moves from topic to topic. It’s not some cheap infomercial style rubbish. This guy has obviously practiced what he preaches and it comes across in his demeanor. The other thing Dave does really well. He presents clear and concise information in a really comfortable & engaging manner. The Gear eBook and the Lightweight Packing Checklist are well thought out and well put together. If i am reading any educational material I expect it to be laid out differently than if I was reading a blog or a story. So when I read through the documentation, it really appealed to me. Big, clear text. Short paragraphs, lots of lists and check boxes all wrapped up with some simple but cool graphic design. It’s the sort of stuff that you could have a quick look over again and again and pick up more useful information each time as well as refresh your memory. I think it would be good reading in the week or two leading up to a major hike as you are putting your gear list together and tweaking your existing kit. The fact that you can print out the gear list and literally tick the items off as you go is pretty handy. Too many times have I left an important piece of gear behind because I try and trust my memory. Now lets get this out in the open. It costs money to download the videos and the eBook, albeit a small amount. It’s no more than it costs to download an album from iTunes (based on Australian pricing). The way I look at it is, like everything in life, you get what you pay for. I can tell you one thing that I know from experience. I’ve wasted enough money buying the wrong gear and then have to replace it that I could have bought the CleverHiker video series 20 times over. I literally spent thousands of dollars on my first lot of gear, went on one hike and then contemplated never hiking again. Thankfully I stuck with it and improved my kit through trial & error and second hand information or I wouldn’t be here writing this today. The other thing I can tell you is, the majority of hiking store sales people are trying to sell you things that you don’t need. Especially when you tell them you are a beginner. It’s kind of like when they say you shouldn’t do the grocery shopping when you are hungry because you will buy everything in the store. If you don’t walk in that store with some form of education and a goal in mind, you’ll get torn to shreds. So will your knees when you try and lug all that crap up your first mountain. At the end of the day, Dave seems like a great bloke throughout the correspondence I’ve had with him and I can tell his heart is in this for the right reasons. 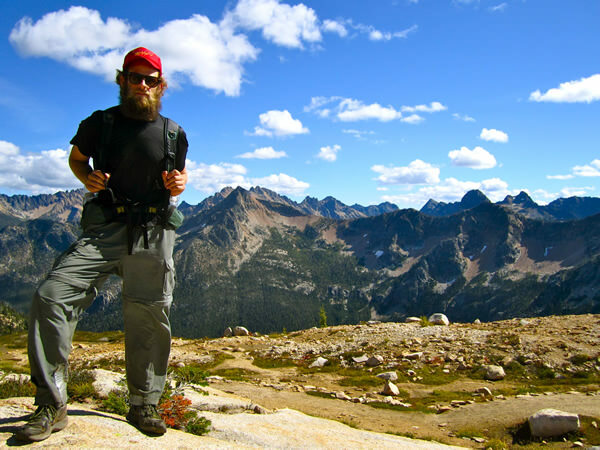 I genuinely believe that he wants to teach people what he has learned over many years of hiking and backpacking so that they too can enjoy the experience perhaps more than they would have. So go and visit the website for yourself (CleverHiker.com), check out the first episode (below), hit Dave or the guys up if you have any questions and just enjoy what they have to offer. I’ll close by saying this: Unless you can show me otherwise, I’m pretty sure these really are the “best backpacking tutorial videos in the world”. Congratulations to Dave & the team.